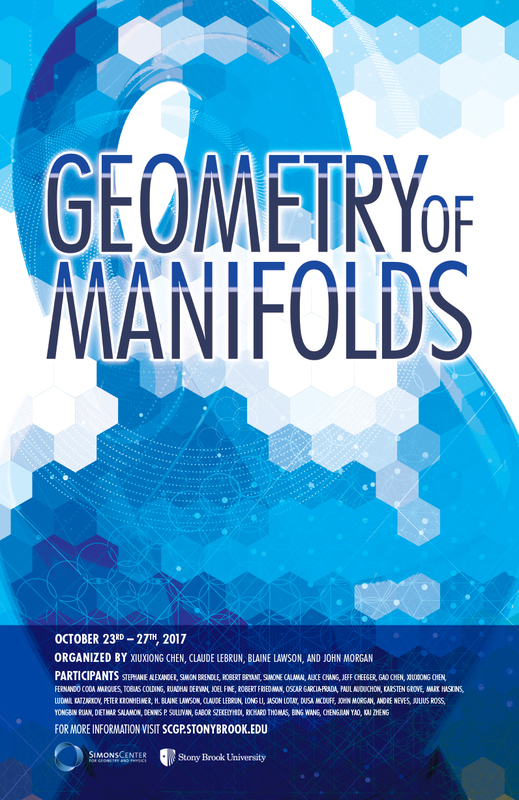 During the week of October 23-27, 2017, the Simons Center for Geometry and Physics will host a workshop concerning canonical geometric structures on differentiable manifolds. Key researchers in differential geometry, gauge theory, complex geometry, symplectic geometry, and related disciplines will present overviews of their areas of expertise, and report on the current state of research. One lecture each day will be designated as a colloquium-style talk, intended to explain central themes to a broader audience of graduate students and non-experts. We note with pleasure that Sir Simon Donaldson will turn 60 in 2017. Since Cambridge University will host a conference officially celebrating this event in August, we wish to avoid interfering with those festivities, and so will not describe our workshop as a “birthday conference.” However, it is an honor and a privilege to announce that our conference banquet will nonetheless be dedicated to the celebration of Sir Simon’s birthday, in the broader context of honoring his magnificent contributions to mathematics.